One of the current issues facing the transportation industry is the reality of a driving job not matching up with the driver’s expectations of the job. There is not one function or department to blame for this disconnect, but there are things that can be improved each step of the way. In this article, we will examine ways to improve the conversations between a prospective driver and the recruiter. 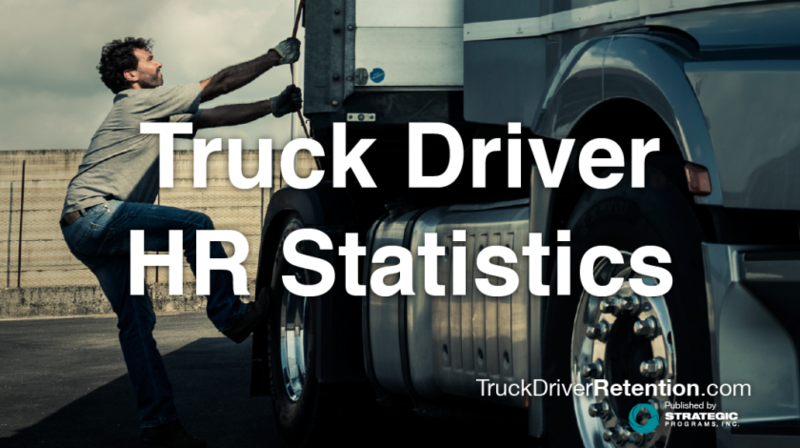 First, how up-to-date is the info that recruiters are sharing with prospective drivers? There needs to be frequent communication from operations about the experiences that current drivers are having. How many miles are drivers getting on average this month? How much home time are people getting? A few carriers I work with who are doing this well have frequent communication with recruiting, and recruiters are giving accurate, up-to-date information to recruits. Another recommendation that I’ve shared with carriers is that recruiters follow up with the drivers they’ve recruited after they’ve been driving for a few months. Have recruiters check in with new drivers and ask them if what they’re experiencing matches what they expected and what experiences they’re having. Recruiters can then take those stories back to tell future recruits. Not only does it keep recruiters connected with what’s going on after drivers are hired, it shows prospective drivers that you’re not just a number toward a quota. Everyone who’s been excited about the prospect of a new job can probably relate to the fact that you might not focus on all of the aspects of the new job. Perhaps you’re excited by the pay, but you don’t focus on the long commute, or you focus on the great work environment but choose to look past the paid time off policy. With this in mind, it’s important for recruiters to make sure prospective drivers are hearing and understanding all aspects of the job so that there are no surprises later. If you are interested in learning more about how to ensure that a driver’s reality matches their expectations, I will be speaking at the TCA Recruiting & Retention convention in Nashville, January 29-31; Workshop 2 – Recruitment & Operations Alignment: Getting the Driver Relationship Started in the Right Gear.